The above car looks like a Ford Granada. @all, have been classic SL hunting recently.. discovered a few here in Lahore... moslty R107's... a couple of 280s one supposedly an SLC and one convertible as well. 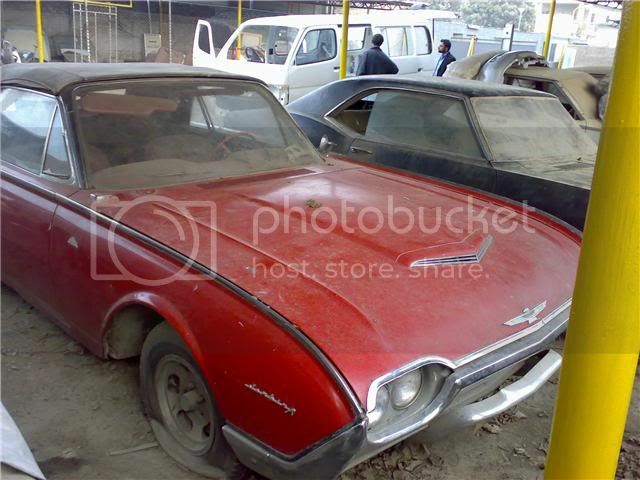 Humayun Baig (ex Coke bottler) had a 450 SLC in Karachi... remember seeing it a long time back... any1 seen that recently? Any idea on how many W113s we have around? MG TC for sale in isloo if any1 interested. dude...u want me getting started on this? is the car worth this kinda money???? Fiat 500's is a scarce commodity....I heard about this one. There are two green Fiat's I have heard of....similar asking price. One is original but requiring restoration and the other is heavily modified. Dont touch the modified one. Fiat 500 is an amazing car....I use mine daily....for work. Its reliable, fun to drive, is a head turner like nobody's business etc. its been a while I visited the site, Looks like I missed quite a lot. I need some help regarding getting the engine rebuild of my car 84'BMW 316. It is an M10 motor (the legendary motor of which variant won Formula 1 in the era ) with weber carby conversion kit. (not the twin webers ). I was thinking dropping in a modern EFI engine but the cost and the mess it would do with the car is just unthinkable. Can you gurus guide me where I can get it rebuild someone who knows the engine and a reasonable person. There is no problem for the parts It can be bought from Plaza from parts guys. please post some pictures of the fiat. 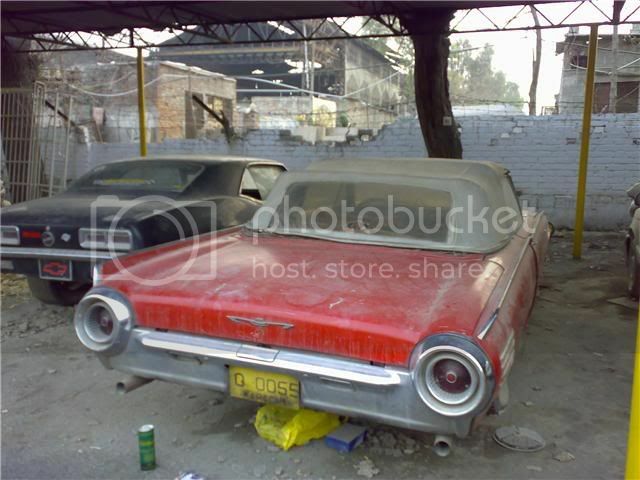 I wonder how many here know about the existence of these 2 cars which are sitting and decaying in a workshop. 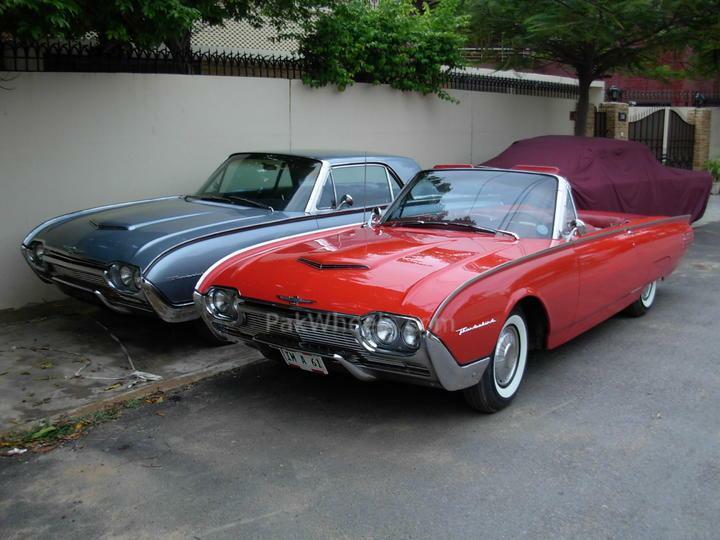 One of course is identical to my '61 T-Bird convertible while the other is a '67 Camaro. There is also a '74 Trans Am 455 which is not pictured. Romano don't say anything. I want to see how well the existence of these cars is known. Oh and btw, none of the cars are for sale and the owner is out of the country. On another note, here is an interesting pic I found of Dubai Airport back in the early 60's. 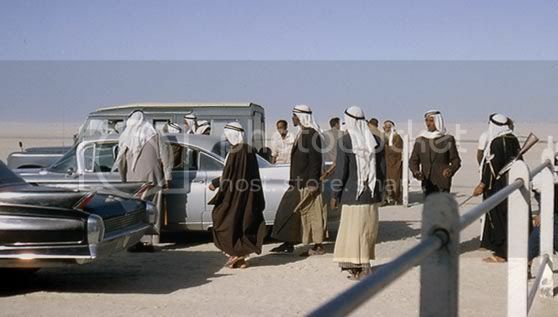 It seems the Arabs loved their Cadillacs and Land Rovers before the RR's came and took over. is this camaro owner willing to sell it ? personally seen these cars in the flesh...mint/show winner quality is a mild word. Well arent all the "spottings" done without knowing the owner and getting their permission. The owners are ruining such beauties and shud do something about that instead of trying to hide the ugly truth.... no pun intended! 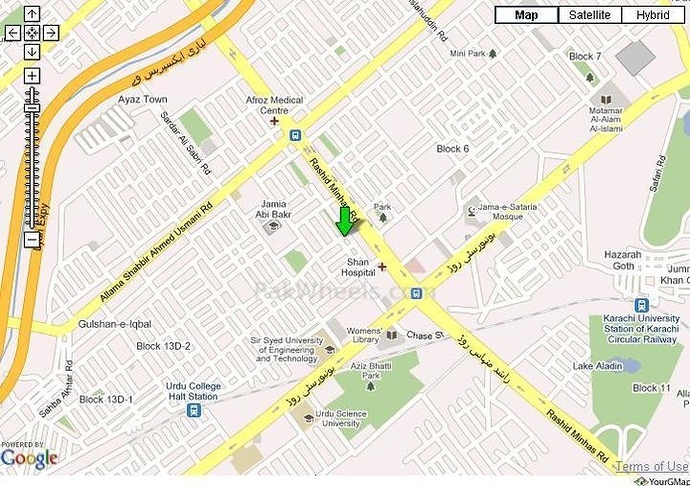 @wasif.............Please dont take offence at my post. It isnt directed at anyone. If the pictures are taken at a place frequented by the public in full view of the world the owners have nothing to complain about... if someone has climbed a wall to take the pics in a private enclosed off residence then there may be a legal point. The final thing is ..........if any owners are so touchy about the vehicles then they should keep them under wraps... BURQA ....gents. NOT DRIVE THEM.. and many people do just that. I had an interesting episode with a gentleman about an MGB GT that I wanted to buy a few years ago... bad condition... basically becoming a wreck....and the reply I got was that one does not sell ones wife... my reply was that one does not beat ones wife either....but I SUPPOSE SOME PEOPLE DO BOTH OR ONE OF THESE. There may be no point about this whole forum thread if we were to take permission for the photos from everyone.